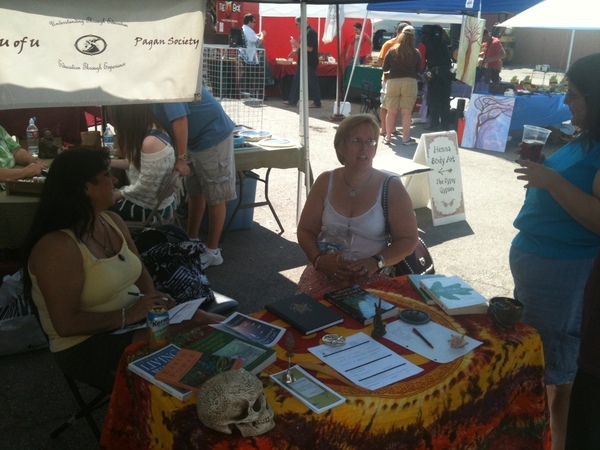 Thanks to all who came and helped out at the booth at this years Salt Lake Pagan Pride Day. 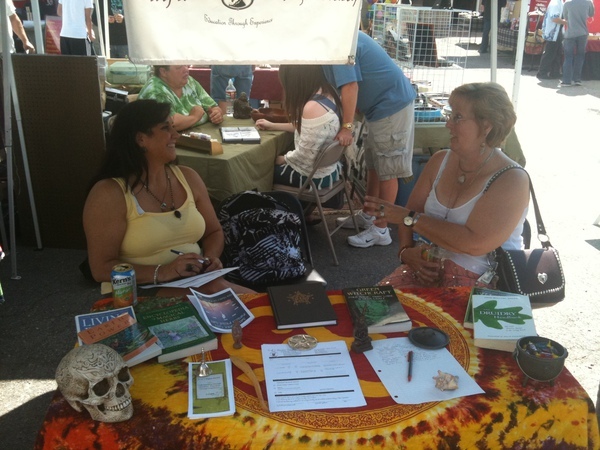 This year’s was hosted by Crone’s Hollow on Main street on September 10, 2011 from 9am-6pm. The smaller space was unable to allow for all the vendors that usually would have came. UUPS gave away lots of information, met new people, discussed why we’re here and even had a few people sign up! Live rock music provided by Lady of the Lake set the scene as the sun rose high in the sky before we were all rained out about 4:00 pm. As a bronze sponsor of Pagan Pride Day in Salt Lake City, UUPS was happy to attend, renew friendships, relationships and provide the support and inclusive of the pagan community in the Salt Lake Valley. Till next year!